Wow is really an understatement as to how these last two weeks have been. I am officially on the road for the year! My first stop was Brunswick, Georgia. First of all on the way there it was very exciting! I have not really ever left Iowa much in my life and I was able to see so many things on my long eighteen hour drive to Brunswick! I seen “rocks bigger than my car,” I was informed those are called mountains in Tennessee! When I first got to Georgia the first thing that went through my mind was that it looked like the Lion King! There are trees everywhere here in Georgia! I soon found out that they grow tree crops just as I grow corn or soybean crops there in Iowa! I learned so much history about the state of Georgia! Rodeo On the Beach was my first stop! I had an absolute blast! 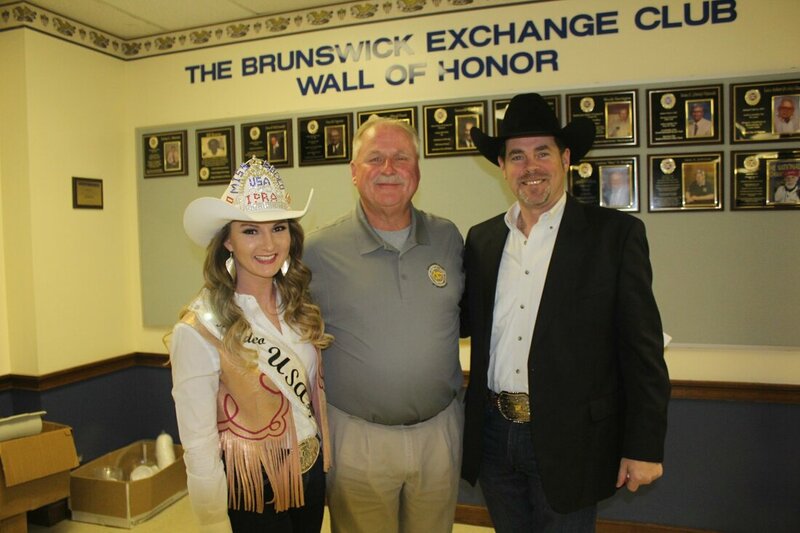 I spent everyday with at least one member of the Exchange Club of Brunswick, which is an amazing group of gentleman who raise money to give back to the kids in their county! 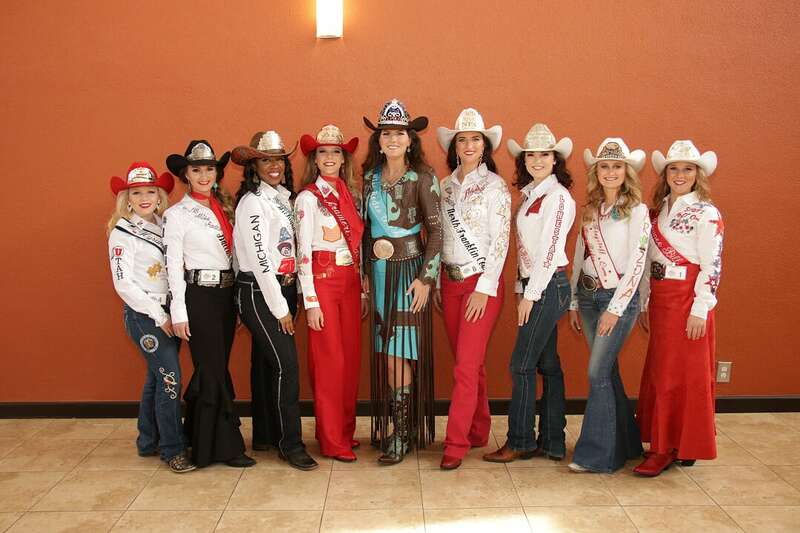 I was so thrilled to be apart of their eighth annual rodeo! We went on school visits, spoke to different groups of people, did radio interviews, and I was even able to go to the beach for the first time ever in my life! To top it all off I even got to ride a horse on the beach! They all made sure that I was able to see the sights as I was there and really enjoyed getting to be a tourist for about a day! They took me Kayaking right before the horseback ride on the beach and that was so cool! I was able to walk along the beach and even pick up a few sand dollars for my scrapbook! 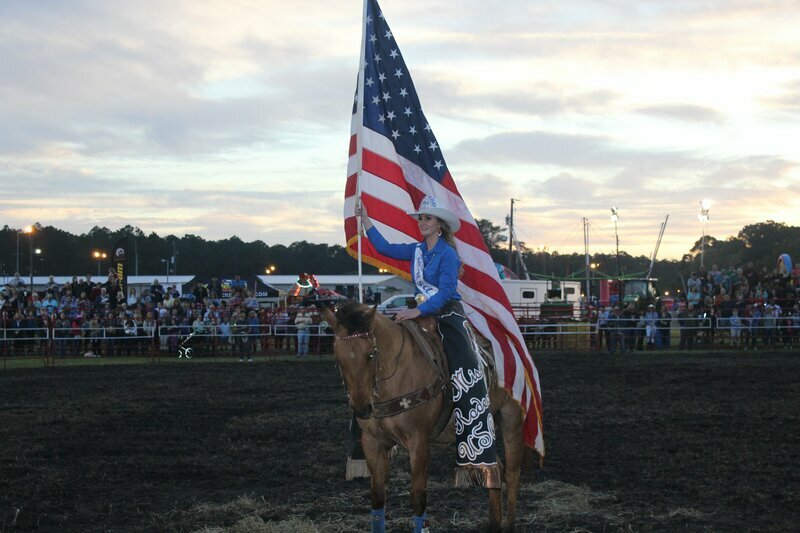 I rode both Friday night and Saturday night during the rodeo! 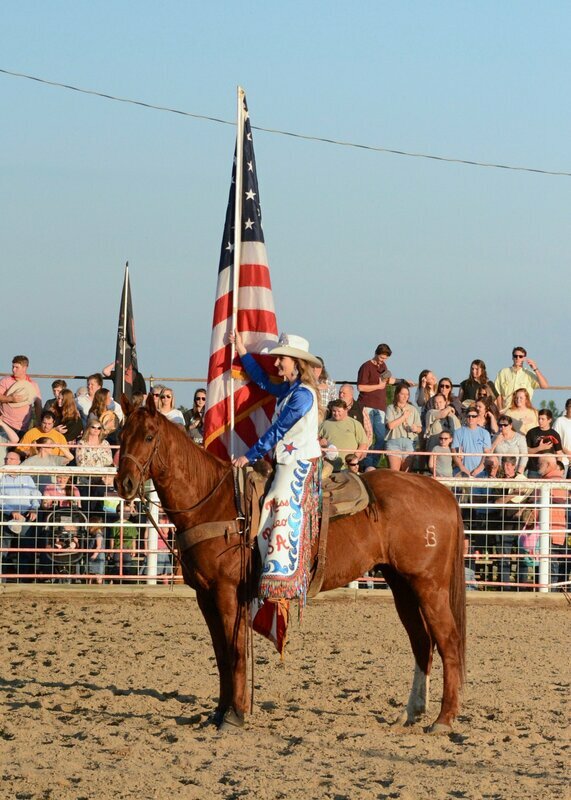 I was honored to ride one of Hedrick Rodeo’s finest horses, Bravo! 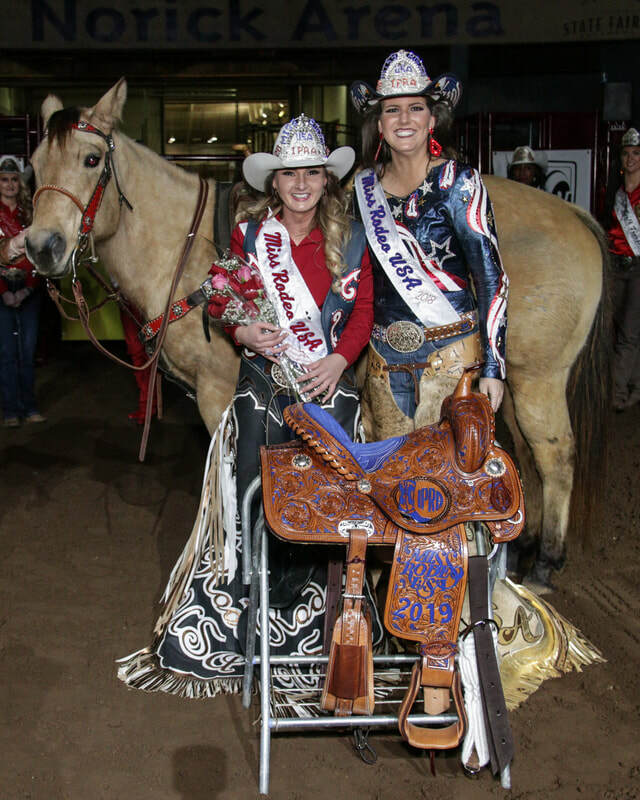 We had some good runs and he did a great job taking care of me on my first adventure as Miss Rodeo USA 2019! 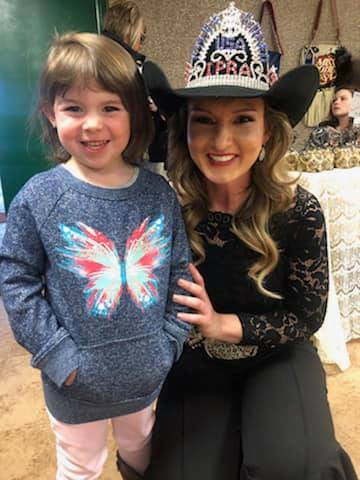 I got to mingle with so many young rodeo fans and loved seeing their faces light up as the horses would fly by in the arena or the bulls would buck a cowboy off! After Rodeo on the Beach I made a few hour drive to another part of Georgia, Statesboro! What a fun time and we made history all while doing it! 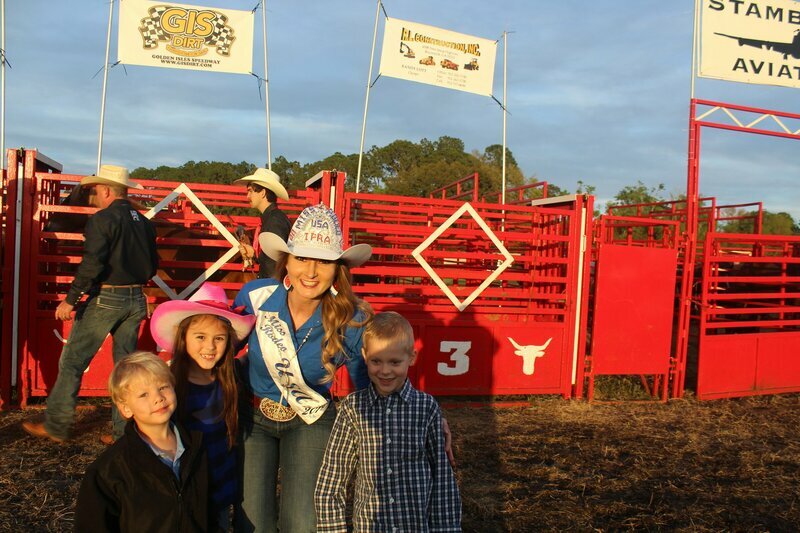 I was so honored to make an appearance to the first annual Washington Ag Center Rodeo! I have never seen a better crowd for a first time rodeo, I am just so proud of the entire committee and everyone who helped put it together! The weather was amazing and the horses worked great all weekend! 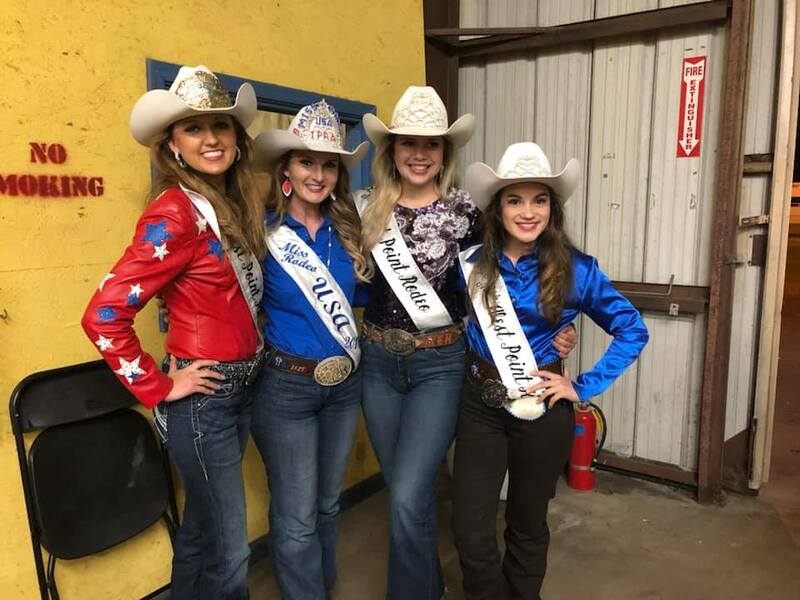 I spent the week leading up to the rodeo going around the county to different events! I was able to put my public speaking skills to work as I was honored to speak at the introduction and sponsor dinner, the Rotary club, Lions club, school visits, and even was asked to speak during the fellowship to the youth group! I was so lucky and honored to work with such caring people! 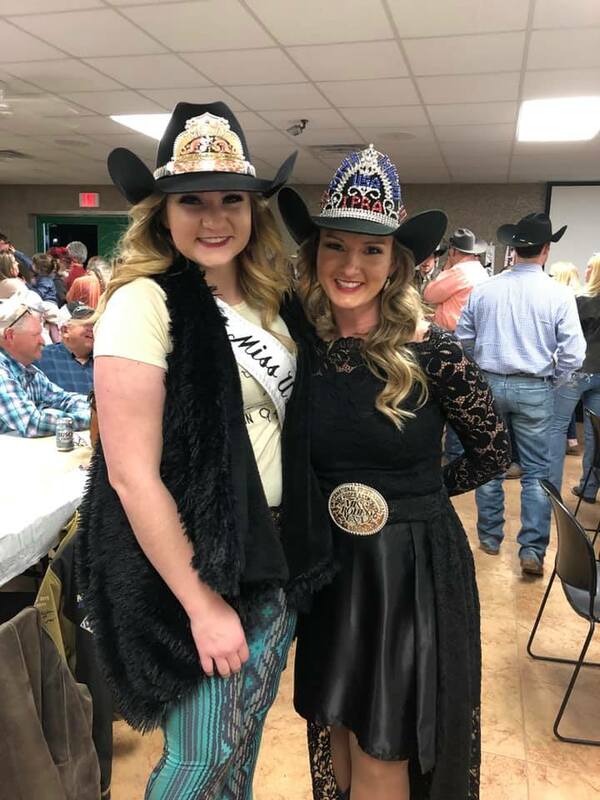 Mr. Eddy had spent so much time putting together such a wonderful rodeo so me and Mrs. Ruthie went out to ladies night out where we did some shopping at local shops and even got to watch the main event for the night! We sat and listened to up and coming country star Tyler Cullens! 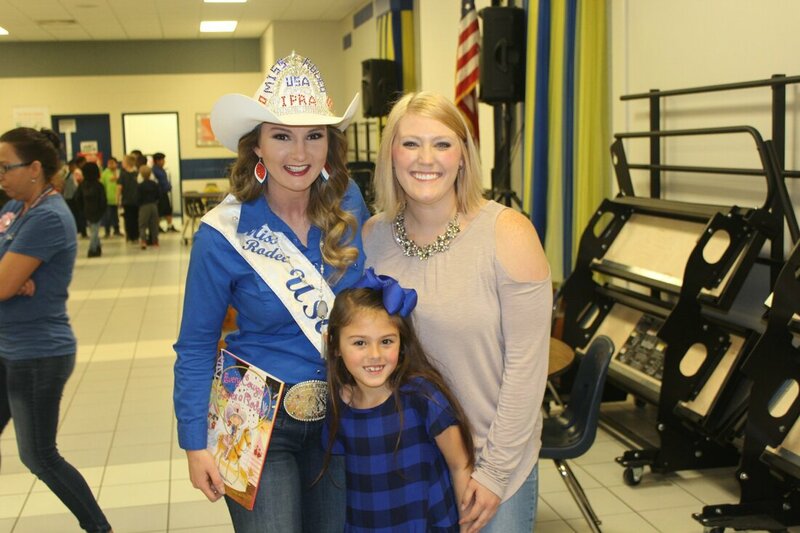 I had such a great time meeting everyone and seeing the town of Sandersville, GA. When they say southern hospitality they are not joking! I just got to Statesboro, Georgia and am getting ready to start my next adventure! I hope you are all enjoying the updates and staying in touch with me through social media! 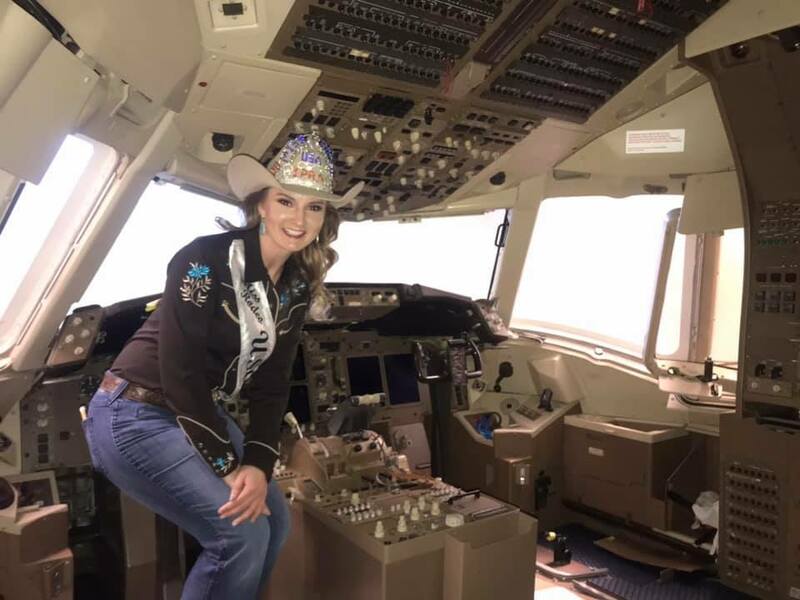 Please don’t forget to follow me on Facebook, Instagram, Twitter, and Snapchat I have been trying to post often so you can all see the exciting things I get to do! I will write again soon! In the meantime be sure to check out these really cool photos from my adventures! My heart is so full as I write this blog! I am just so thrilled to tell you all that my coronation was a night filled with a room full of people! We not only ran out of tables and chairs for people to sit but it was standing room only! I have been blessed beyond measures by the people that not only came but showed their support for me! I never knew that I was so loved and blessed with such an amazing community, family, and friends until the night of my coronation! I said so many hello’s and signed so many autographs for my friends and fans here at home! I want to thank everyone who was able to come out and also thank everyone who donated items and their time to help me! I could not have done it without any of you! Last week I was honored to speak at my hometown church where I got to share my story of success! 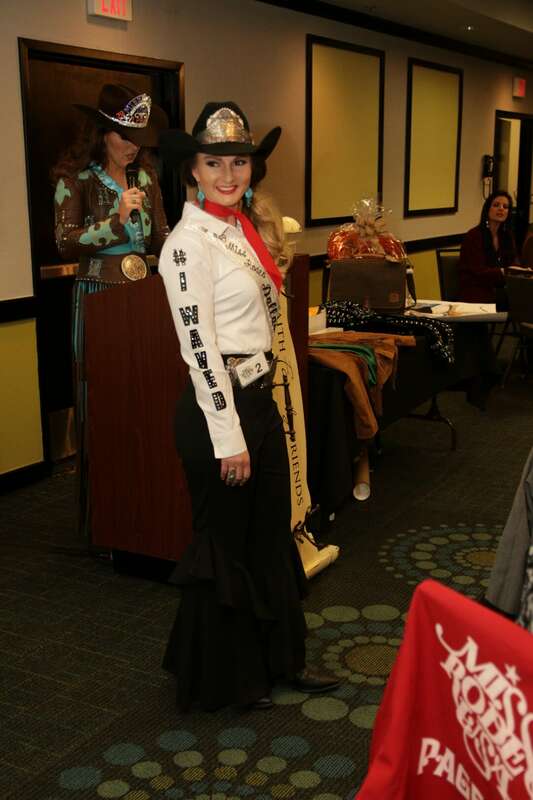 Not all of you may know this but I had to overcome many obstacles on my journey to the Miss Rodeo USA title! 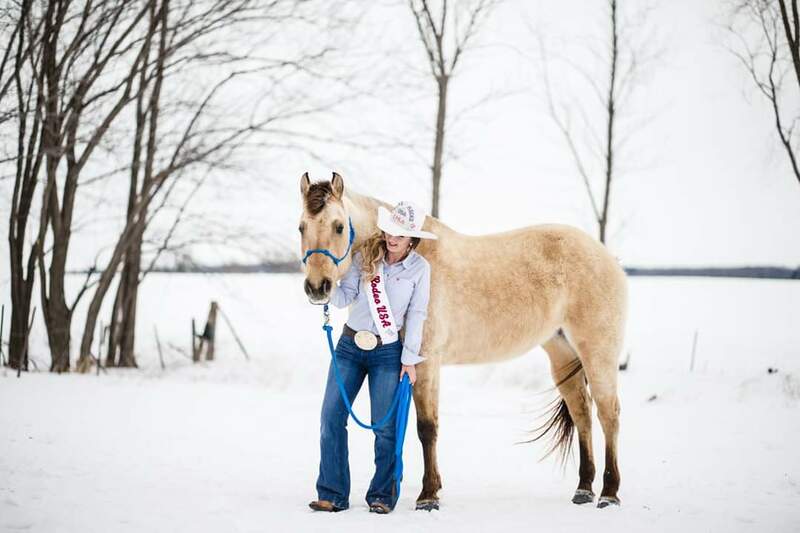 I did not own my own horse for almost four years! 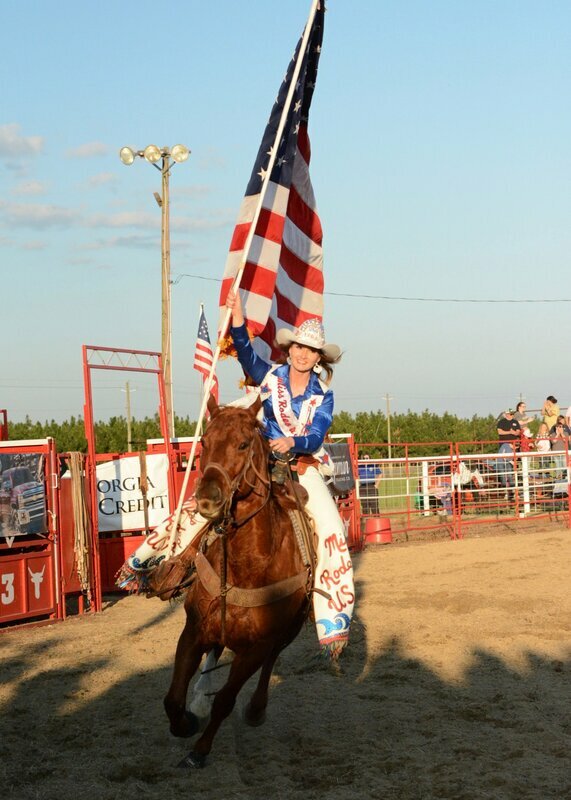 Thankfully I never gave up and was even able to win my last three local rodeo queen titles on borrowed horses! I have been blessed to learn the life lesson of “Hard work does pay off.” During my speech at the church service I spoke of how my obstacles may have got me down and feeling bad but I never threw in the towel and I never gave up hope! My faith is strong and my will is just as strong! I hope that if you ever have a dream and the will to chase it, that you do so! There are so many wonderful things in the world to accomplish and God will always stand by you. Whatever you are meant to do in life and whoever you are meant to be you will be and you will do! How does one pack to be gone for an entire year? Please, if you know how this is done I want to know! I spent the entire day not only picking up after a successful coronation but I also packed my life into totes to be gone for the entire year! I am just so thrilled and a little nervous that I may have forgot to pack somethings! Hopefully nothing to important! Haha! I will most certainly miss my family, friends, community, and my farm, but I know this year will be one for the books! 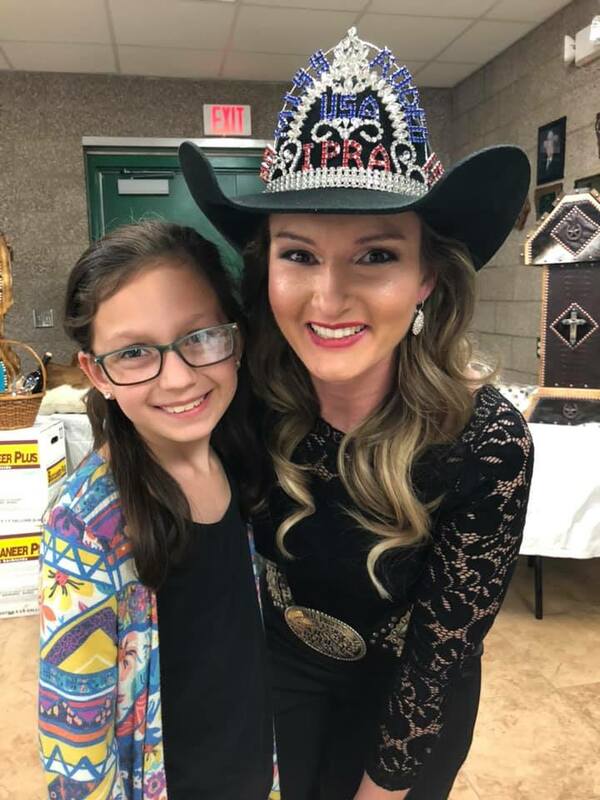 In sixty years or more I am sure I will be forgetful but I bet I won’t forget the memories that I make during my year as Miss Rodeo USA 2019! While packing for my year long adventure I managed to find several pairs of shorts, because summer is finally coming!!! Here in Iowa it has been a very long, and very cold winter. I am more than ready to go rodeo! 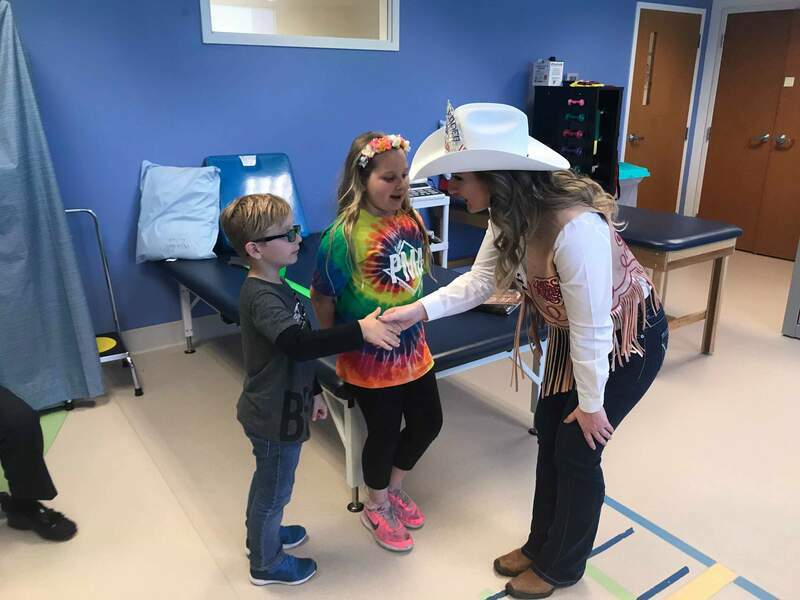 Speaking of rodeo, my first stop is Brunswick, Georgia! Oh I just can’t wait to get there and meet everyone! 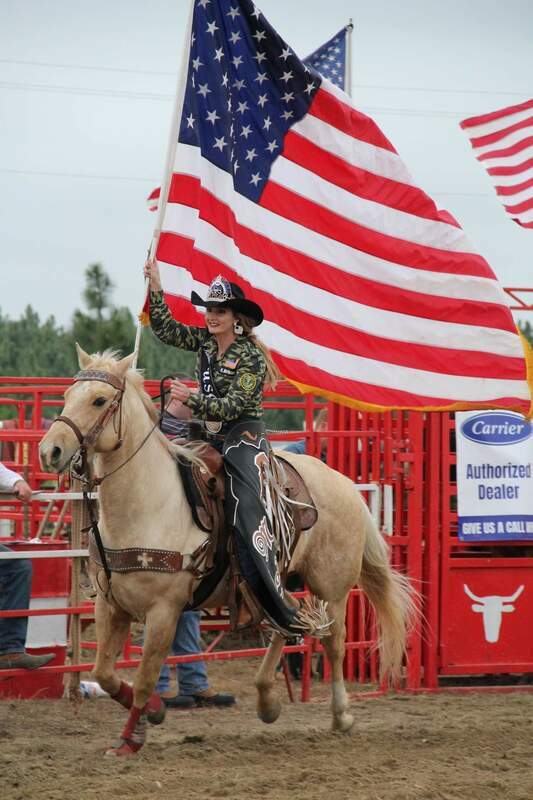 I have heard such wonderful things about this rodeo and the week that I will get to spend there! I hope to see some familiar faces and if I don’t that's ok to because in rodeo, well there are no strangers! Rodeo really is one big family! The last few weeks have been so busy working out my schedule and marking down when I will be where! Please keep up with me on all and any social media accounts as I will be busy, busy! Well I hate to leave you so soon, but I have to finish packing and get ready to hit the road for my first adventure! Stay tuned! There are so many exciting things coming your way! Also check out a couple of my photos below from my winter photo shoot with the amazing T.P. Creations! More to come I promise!! The sun is shining!! Finally there is sun in Iowa and it feels so good! If you are following me on social media you have probably seen my winter photo shoot with the wonderful T.P. Creations miss Tisha Pol! It was not only overcast that day but it was a whopping nine degrees outside! She not only froze with me but she made sure I had some nice hot hand warmers in my pocket with a wonderful assistant by her side holding my Ariat winter coat! Thank goodness for my coat, good friends, and hot hands!! We had so much fun outside in the cold and got some really cool pictures! You will want to keep watch of my social media pages as I will be posting several of these photos throughout the year! I am so blessed to have some photos with my very own horses! It will be a nice reminder that in a year from now I have some work to come home to! 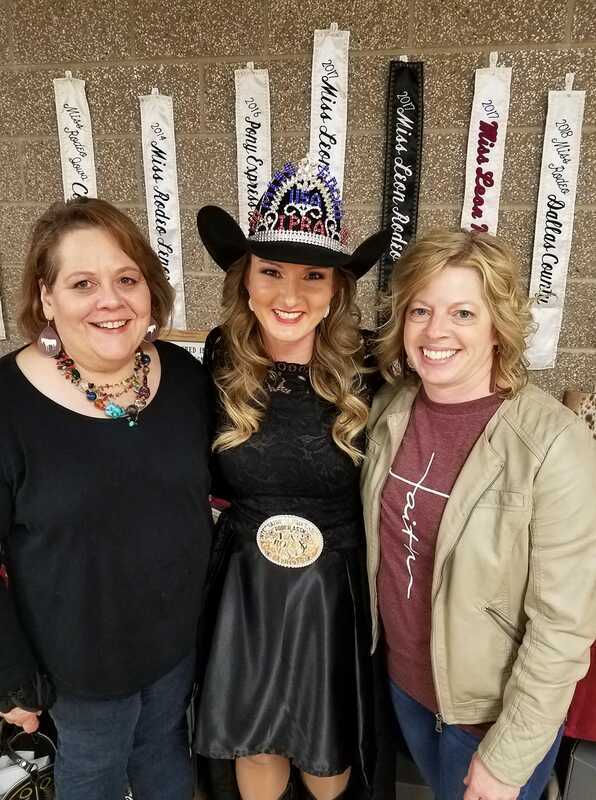 Recently I attended the Miss Rodeo Iowa Coronation, where I was so honored to get to share her big day with her! 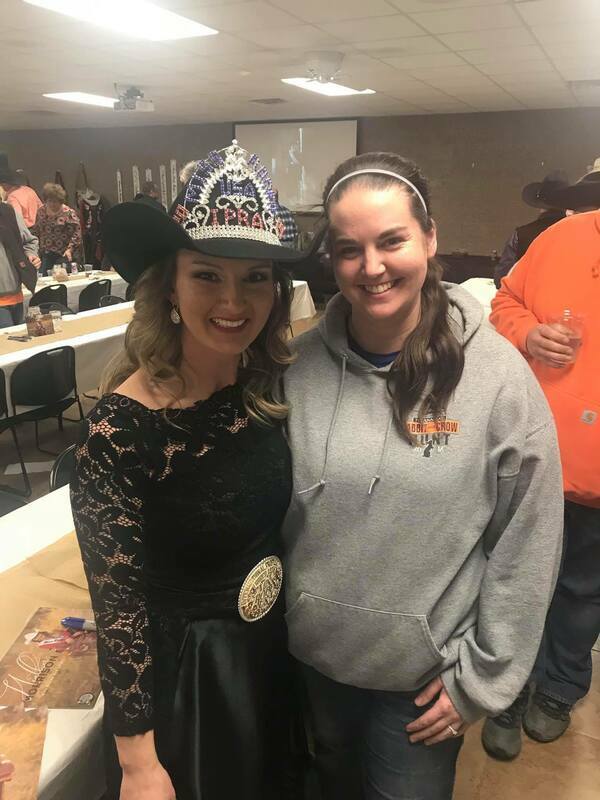 I spent the evening working the crowd helping the other queens sell auction items for miss Rachel. 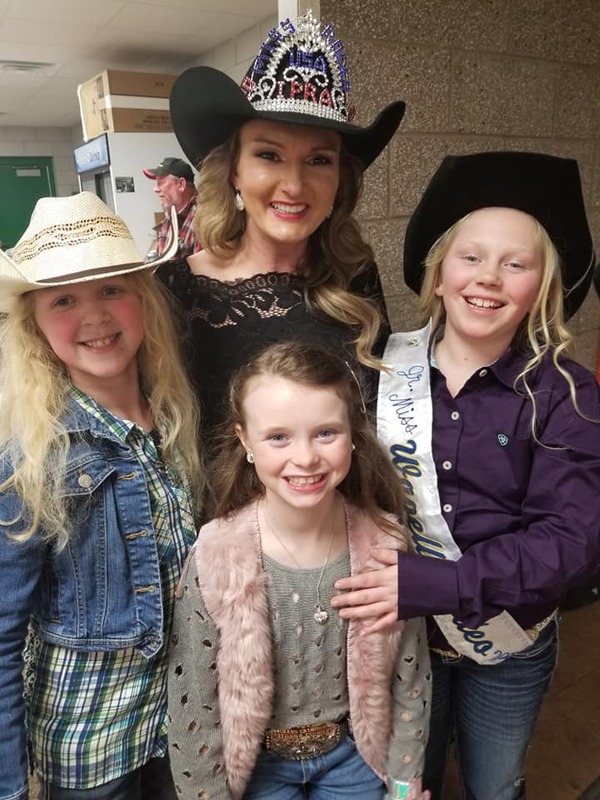 I even got to help out the rodeo dads compete in the Mr. Rodeo Iowa competition! Now that was a fun competition and who knew so many rodeo dads had such good modeling skills! I have been working on my coronation everyday preparing for the big event! I have never felt so loved and blessed all at the same time! I can’t wait for it to be here and to share all of the fun things with you guys as I am going to have a lot of things going on that night! 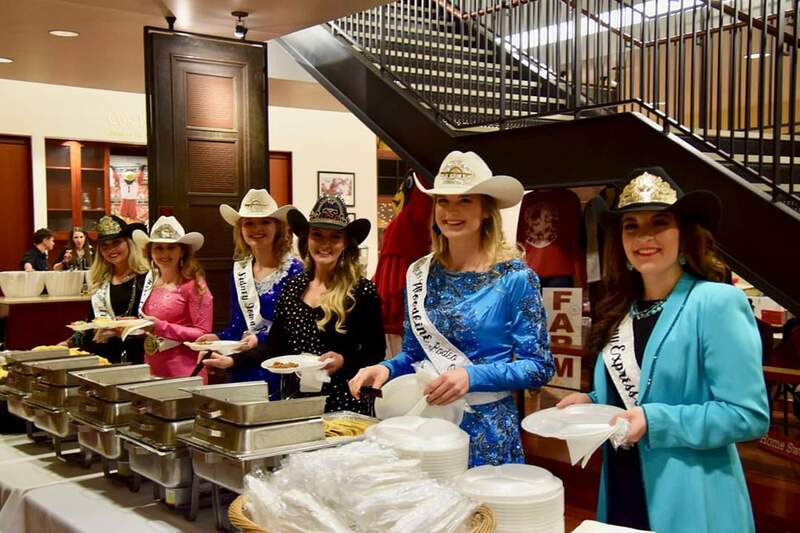 I hope that you are keeping up on the Facebook page as I posted the event and post everyday about all of the exciting things that are coming in for the coronation to be auctioned off! 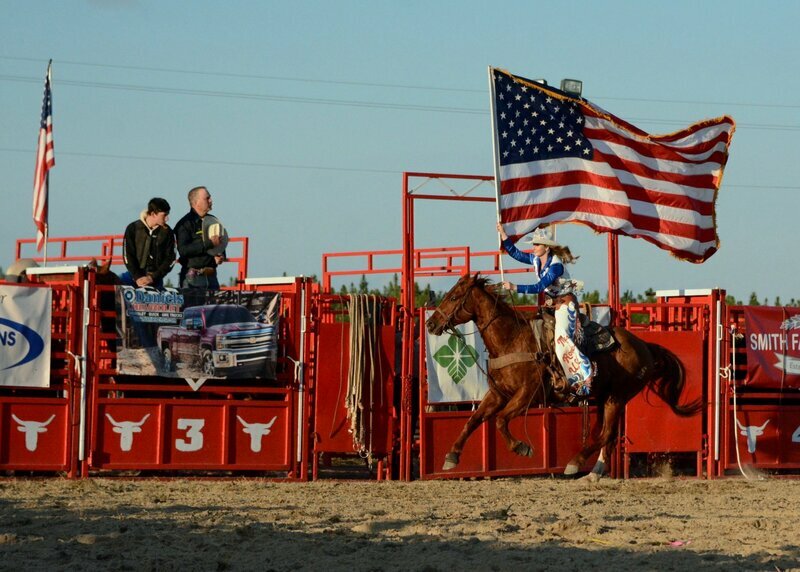 My father has never really been much of a rodeo queen dad, but I think now he is starting to enjoy it a little more! He was so generous to donate a quarter of beef from our family farm to be auctioned off at the live auction, not only that but he also donated the meat for my taco bar! I am such a lucky girl to have a dad like him, and to come from a cattle farm! 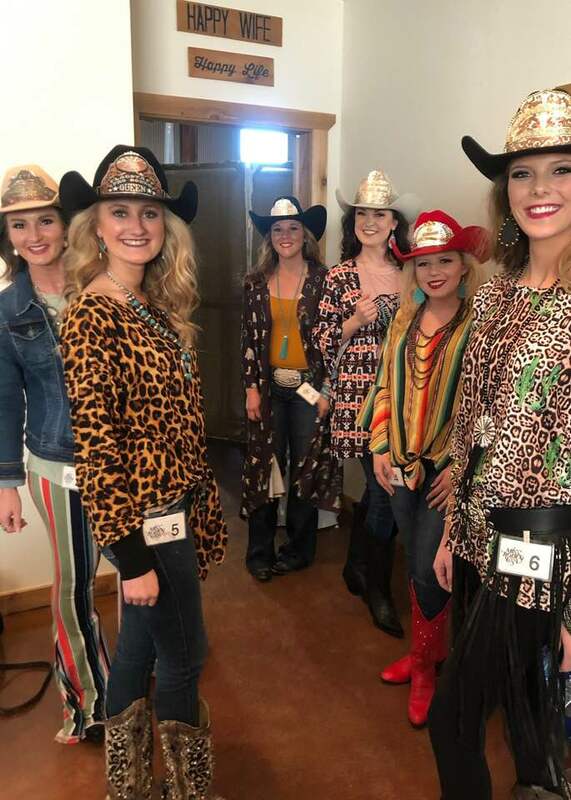 Cripple Creek has been so generous to donate clothes for the girls to wear for modeling during the fashion show as well as, Sunflower Cactus Ridge Boutique, and Pearls and Lace Country Boutique. How exciting is this, all of the girls that are modeling for the fashion show will also get their hair and makeup provided by the Bella Mia Salon! This is just so exciting, I literally just can’t wait for this!! It seems like I have not been off the phone since I have won this amazing title! Planning everything that goes into these rodeos and events that I will be attending takes a lot of time and preparation! 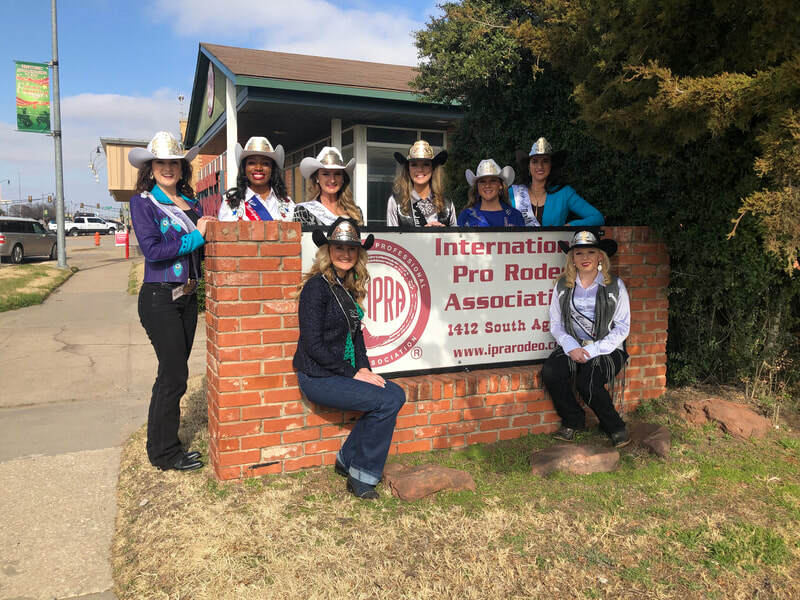 I have talked to several rodeo committees about where I will be going, what I will be doing, and what I will need to prepare for during my stay with them! I have been patiently waiting to hit the road and it’s just about time to go! I have been packing and preparing for every possible scenario that I could get into. I am a very organized person, so for me to not be prepared could be entertaining! 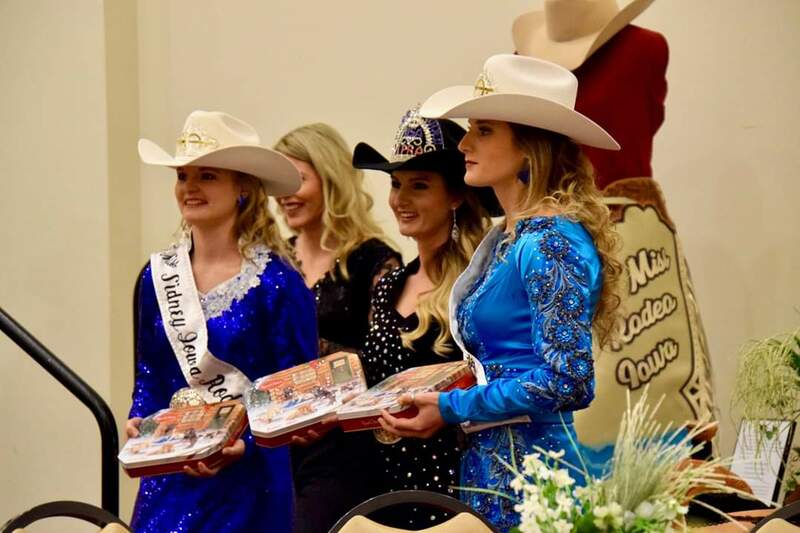 My first stop as Miss Rodeo USA 2019 will be in Brunswick, Georgia! Never, and I know it sounds crazy but I have NEVER been to a beach! 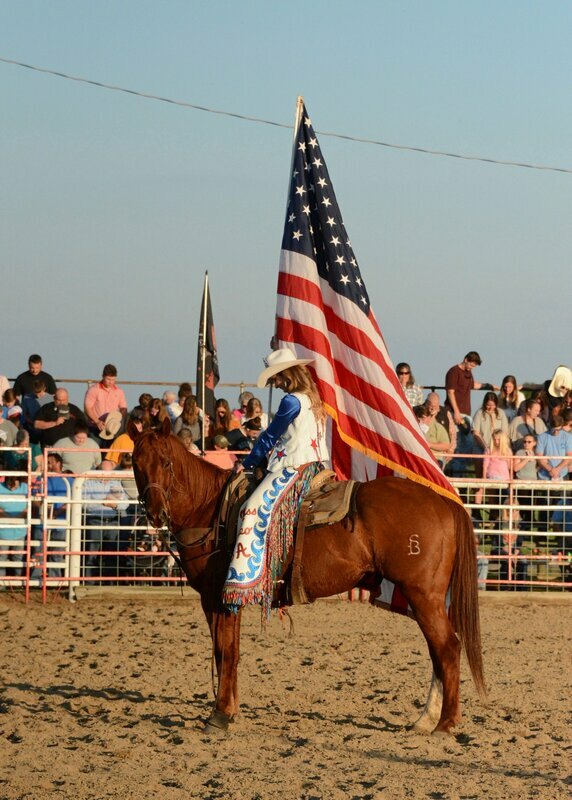 I have never been so excited, I will get to ride horses on the beach while I am there, I will also attend school events and ride at the rodeo that Friday and Saturday evening! I hope that I will see some familiar faces there and I can’t wait to work with Hedrick Rodeo Company! I will get to spend a lot of time with the family this year throughout my travels and I can’t wait to get to know them better! During the year I will get to meet lots of committees and their families as well, so far the ones that I have spoke with and the ones that have been in contact with are just outstanding and I know the rest of the committees and families will be as well! 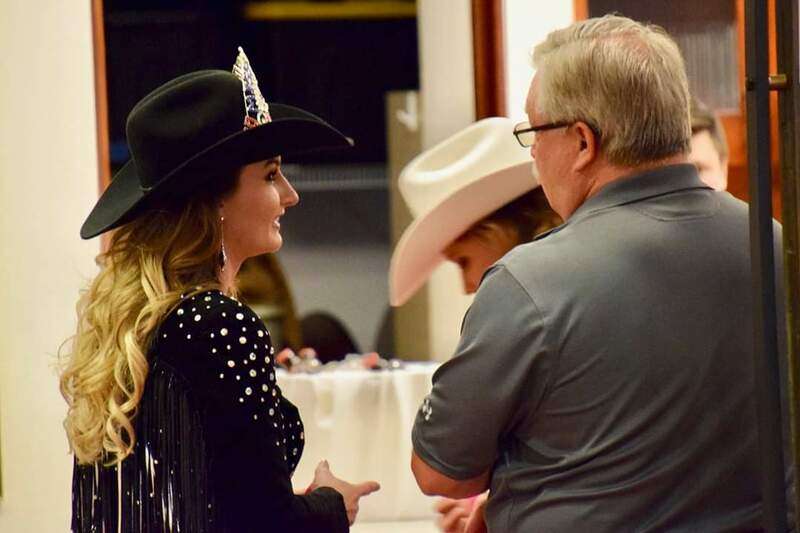 This is just the beginning of my fun filled and memory packed year, I hope that you follow along with me on my lifelong dream as I travel and meet so many more wonderful rodeo family members! Don’t forget to follow me on social media and if you are in Southeast, Iowa on March 23rd, to attend my fundraiser for the year! Representing in the home state! I have been blessed with opportunities, more opportunities than I could ever imagine in my lifetime! 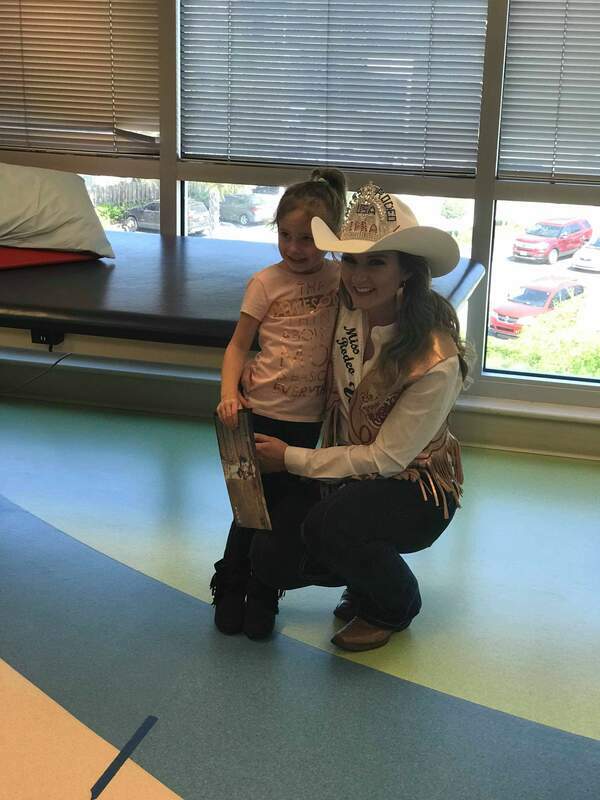 I have been able to spend some time here at home with my family and my rodeo friends and family before I leave! I have been getting everything lined up to hit the road and not be home for quite some time! Just the other day I moved my horses to the Beatty Ranch where they will stay this year and be cared for there while I am gone! Recently I became a horse owner again! In May of 2018 I purchased my first horse in just over three years! Shortly after that a friend of mine asked if I would like to add another to my herd and I soon became an owner of two equine friends. 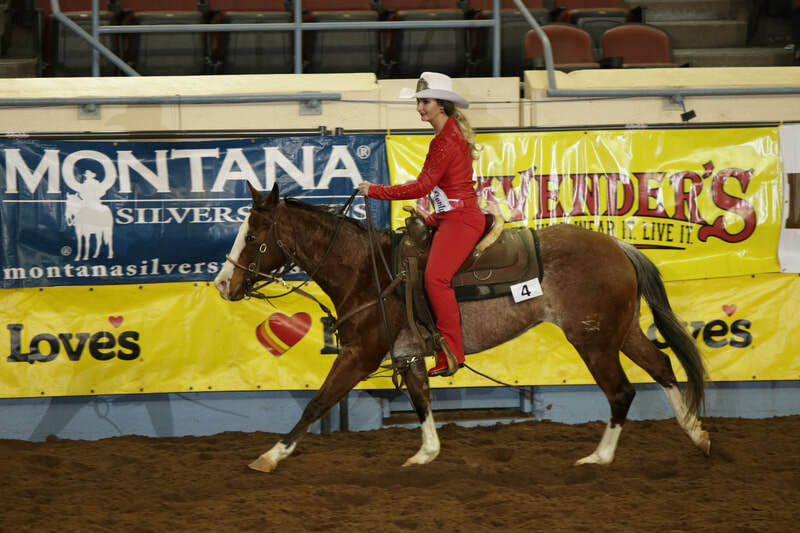 A few years ago I was no longer able to own horses and had to find a way to compete without a horse. I was fortunate enough to know many people who were always willing to help me! 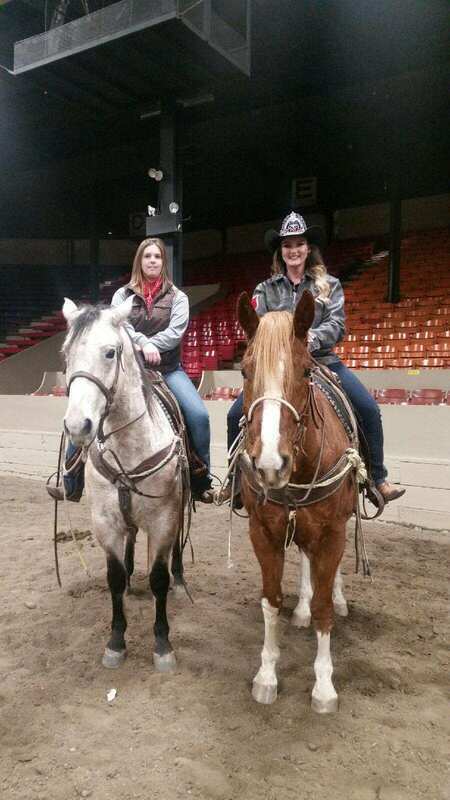 I learned a lot and rode several horses all over the state of Iowa and outside of Iowa as well! I am so blessed to say I now in just a short amount of time own two of my very own horses again! They are both projects but I love a good challenge! 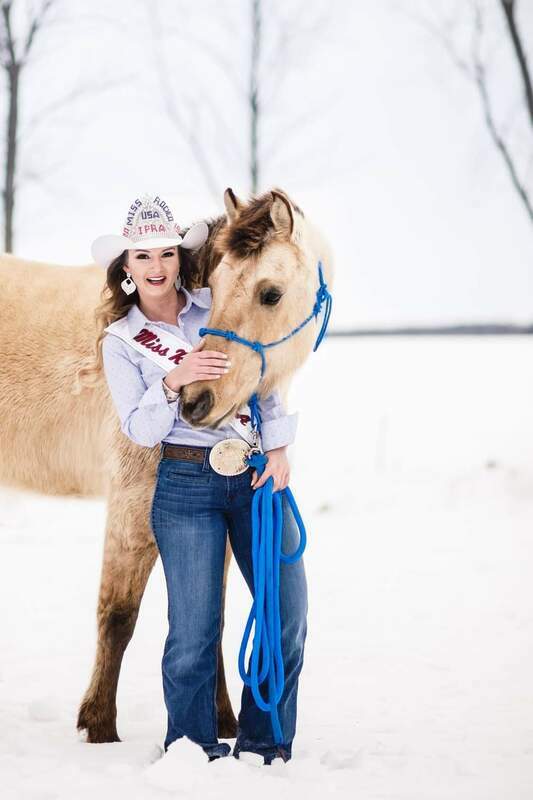 Luckily, for myself and them, during my travels and meeting so many wonderful rodeo family members I came across the Beatty Ranch, where my two equine friends will now call home and receive the best care this year! 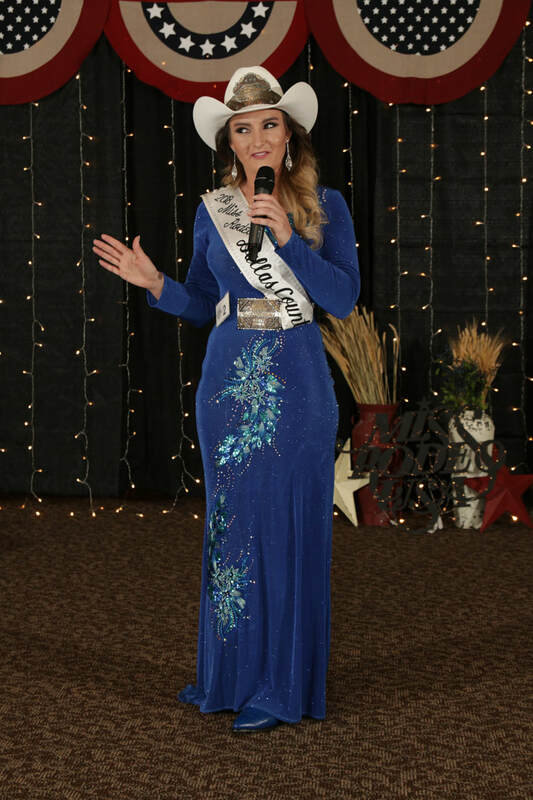 I have been all over the state of Iowa recently obtaining new sponsors and picking up gift baskets and items for my coronation in March! It will be here before I know it and I just can’t seem to contain my excitement! This is going to be a great kick off for my year! I have already heard of so many people who plan to attend and enjoy the night with me! 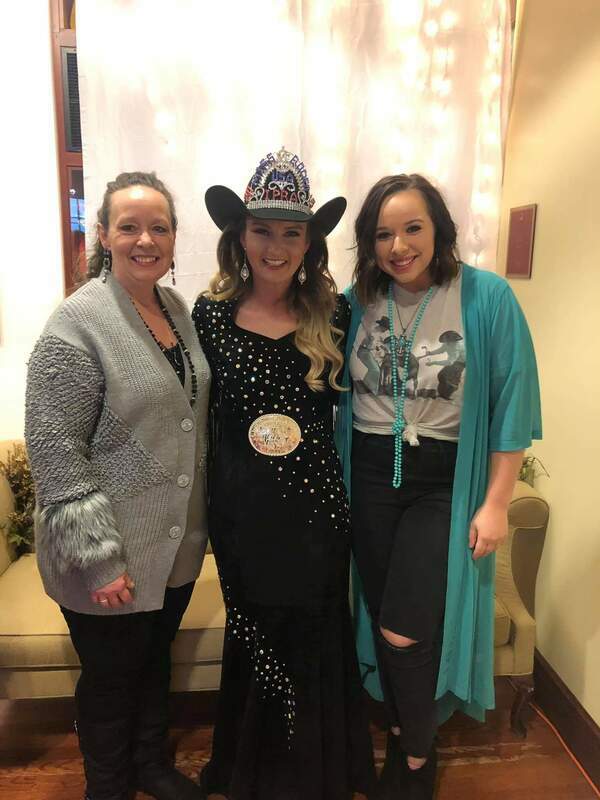 Recently I found out that my local salon, Bella Mia Salon in Washington, Iowa has generously donated their time to do makeup and hair for my models during my fashion show! How cool is that? Also I currently have two wonderful boutiques that have partnered with me for the coronation and will be dressing the models for this fashion show! 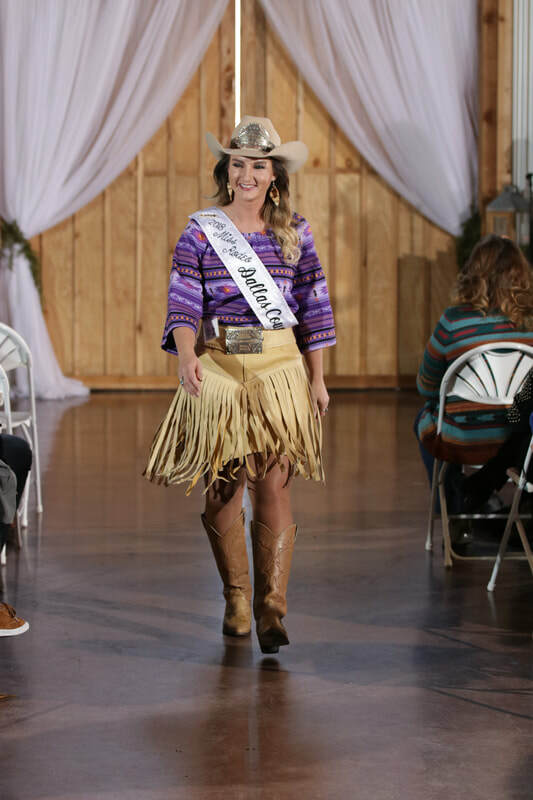 Be sure to check out Sunflower Cactus Ridge Boutique and Pearls and Lace Boutique, you can find both of these boutiques on Facebook and Instagram, and I promise you won't be disappointed! 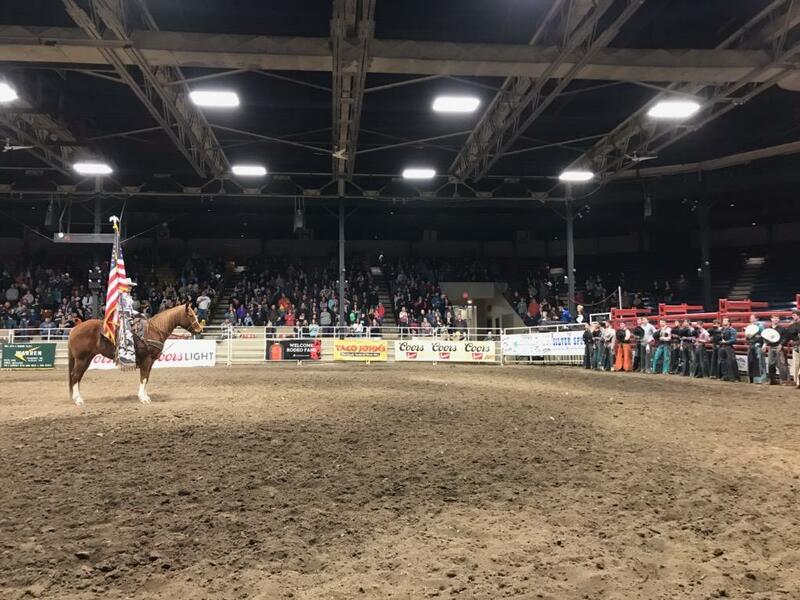 Just last weekend I spent the entire weekend in Waterloo, Iowa at the 22nd Annual Bull Riding Classic! 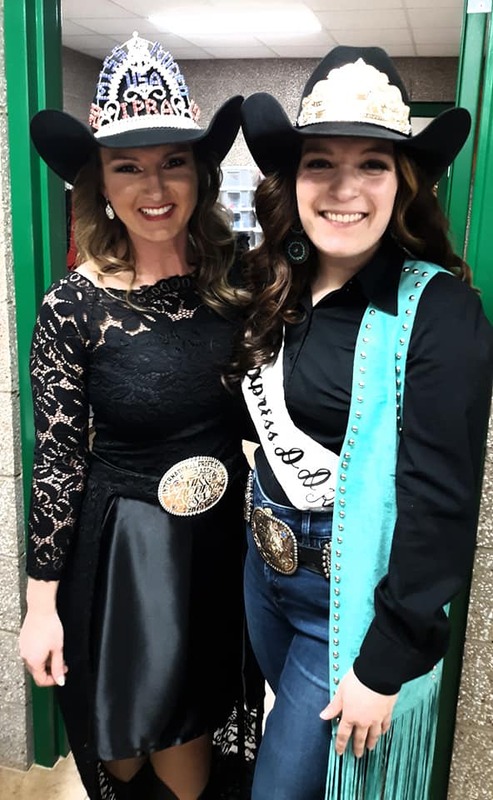 I was able to spend some time with my sash sister Miss Leon Rodeo, Emma Bair! 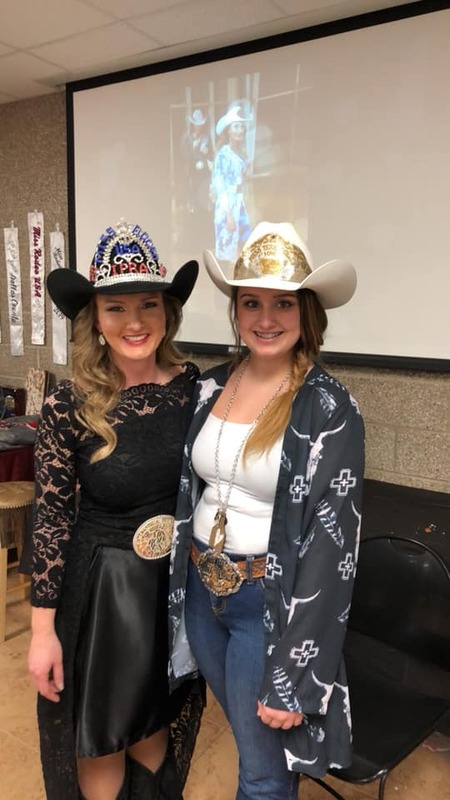 I also spent some time with an up and coming rodeo star, miss Kylie McMahon! 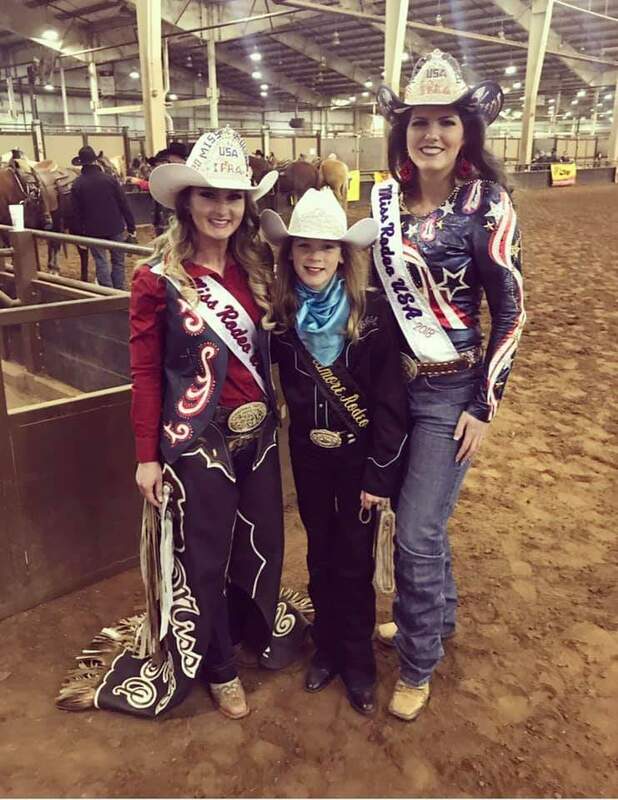 The three of us girls carried sponsor flags for the event and helped out during the mutton bustin'! 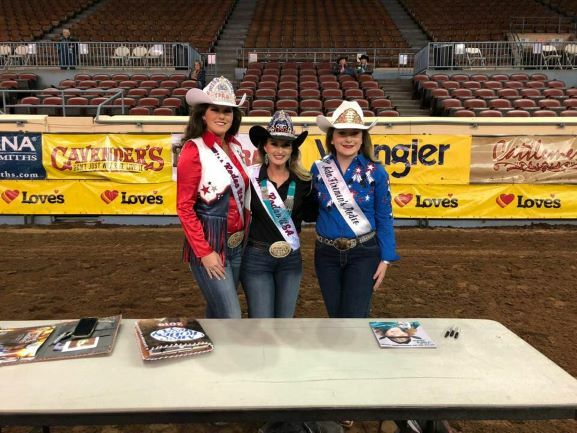 I have spent the last few years helping at this event and carrying flags in that arena, but nothing was more exciting then getting to come back one last time as Miss Rodeo USA 2019! Emma and I had a great time chatting about her year and her big plans! 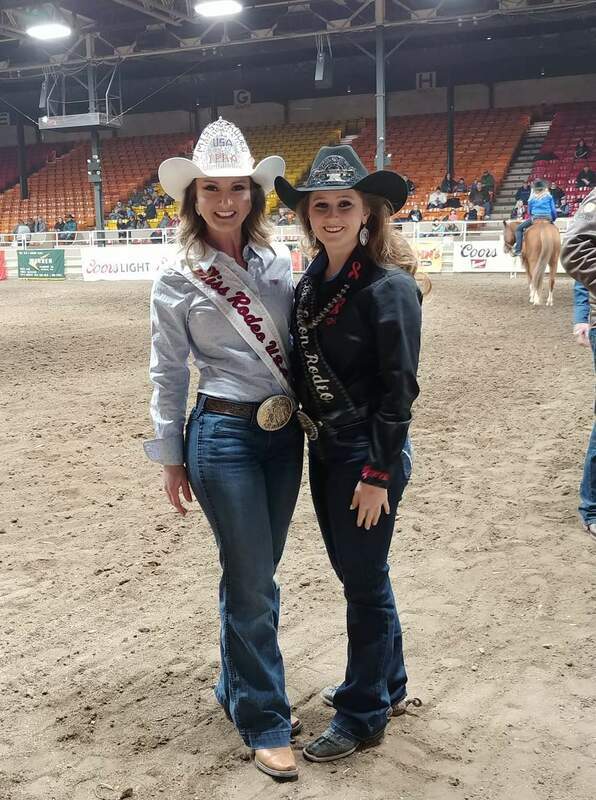 Fun fact about Emma and I is that I have passed down my last two rodeo queen titles to her and I have been honored to crown her every time! 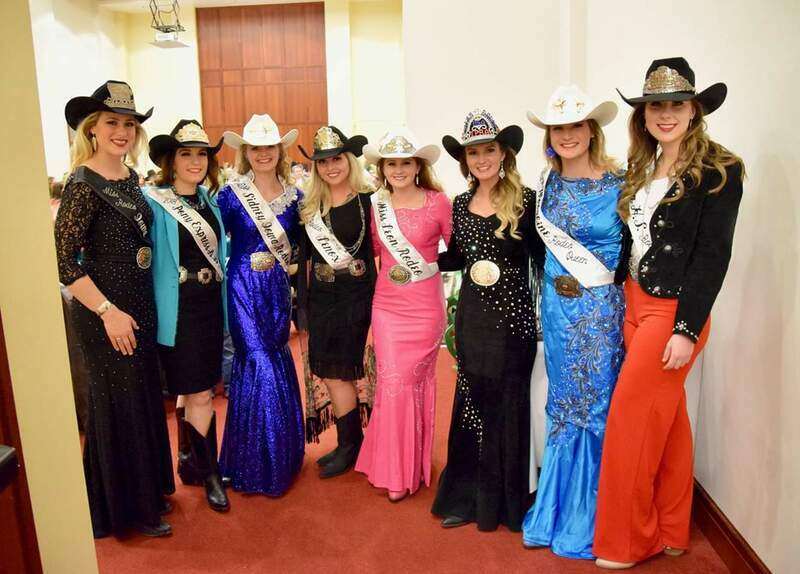 I can’t wait to see what the future of Iowa rodeo royalty will look like! I can’t wait to get things rolling and to keep you all posted on the fun things that I will get to do this year! I hope that you are keeping up with me on all social media as I have been getting many fun and amazing gifts in the mail from the best sponsors out there! I am trying to keep you all up to date on the goodies that I have been receiving and I hope that you enjoy them! I know I am enjoying it, and can’t wait to showcase these items on the road this year! Like I said, stay tuned there are some really good things coming up in the next few weeks that I want to share with you! 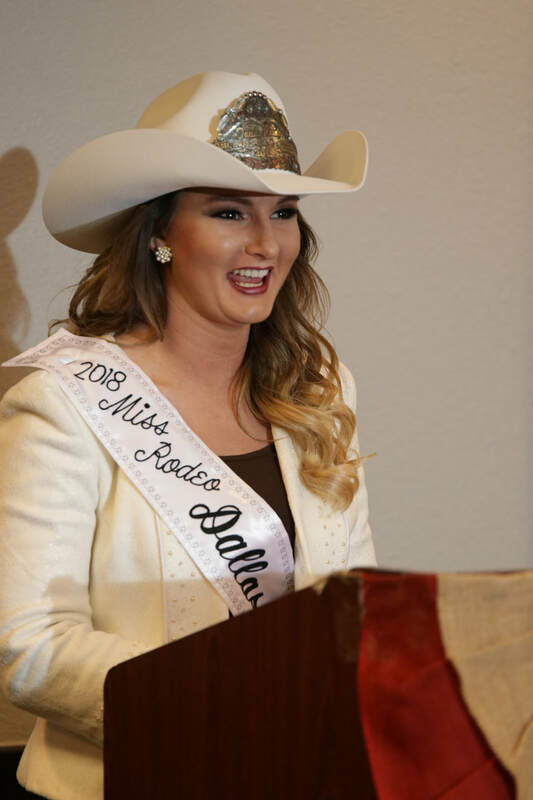 Just a reminder that you can follow me on Facebook, Twitter, Instagram, and Snapchat, just search, “Miss Rodeo USA.” Have the most blessed day and I want to leave you with a fun quote that I found that I think you will enjoy! It's almost time to hit the road! I have been asked so many questions as I have been doing a lot of interviews on the web and in the newspaper! I even made the front page of my hometown paper! I bet I will never do that again! I feel so blessed to have a town, community, and state that stands behind me. I have had so many phone calls, letters, and encouraging cards come in that make me really feel lucky to be where I am in life. I am so excited to be hitting the road soon! I hope that you are all following me on Snapchat, Facebook, Instagram, Twitter, and here on my blog as things are just getting started for me! My first stop this year is actually a local event where I have been blessed to be apart of their show for a couple of years now. 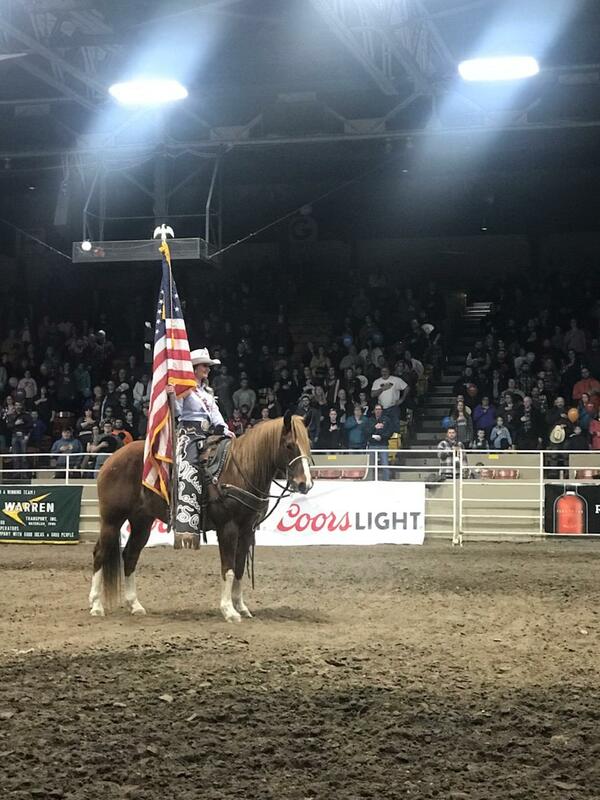 I will get to carry sponsor flags during the Waterloo, Iowa bull riding on February 15th and 16th at the Cattle Congress Auditorium! 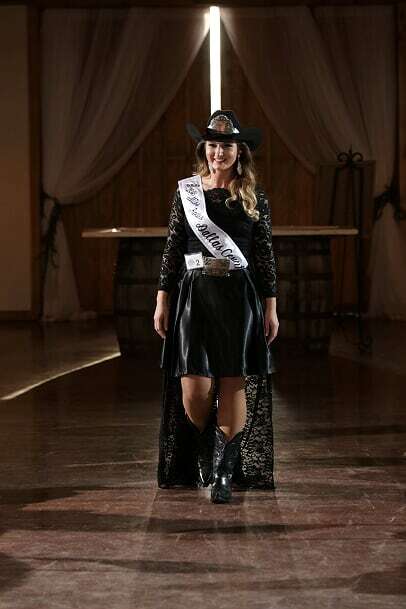 This year will by far be the most rewarding for me though as I will get to enter the arena as the newly crowned Miss Rodeo USA! I have always dreamed of being apart of that show and then once I was I dreamed of coming back with a national title! I am so excited to say that I have finally made that happen! 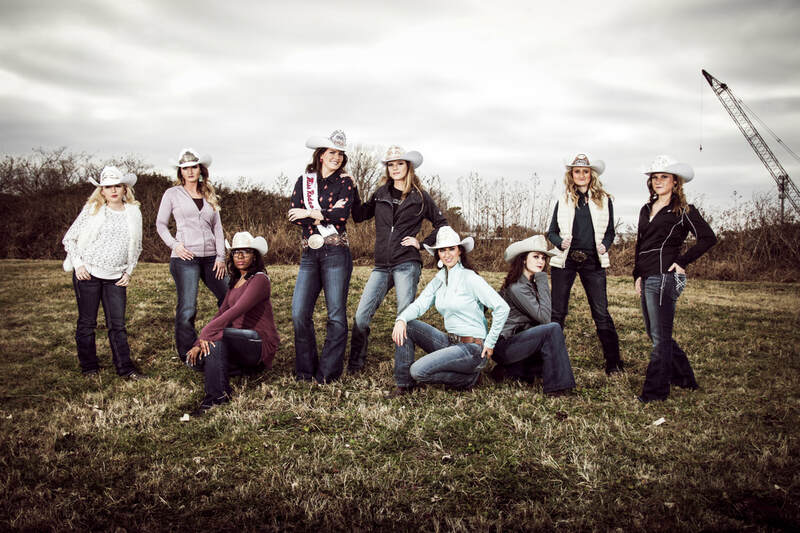 I can’t wait to see my rodeo friends and spend time with my favorite four legged friends! After getting to spend some time at home I am so excited to finally get to travel across the US! My first out of state trip is going to be, any guesses? Brunswick, Georgia! 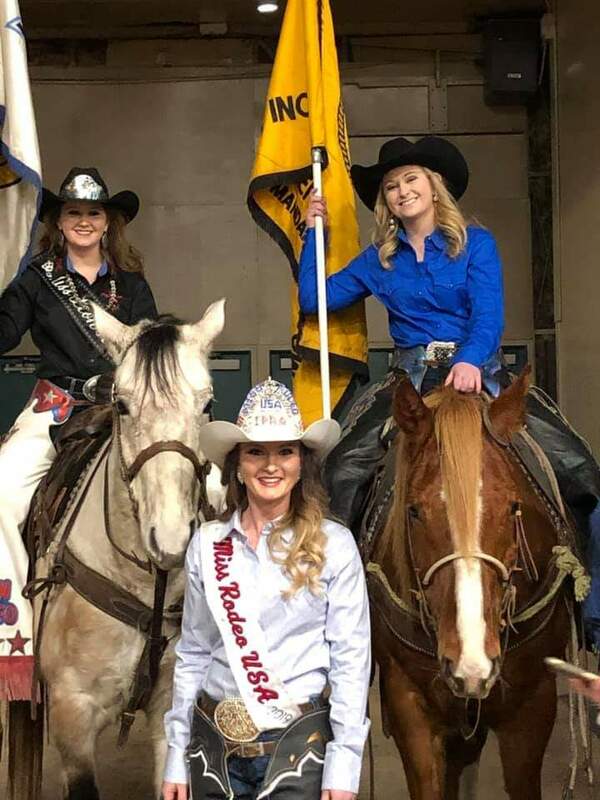 I am looking forward to this, I will spend time with the Hedrick Rodeo Company and the amazing committee during the Rodeo on the Beach festivities, during the week of March 25th through the 31st. 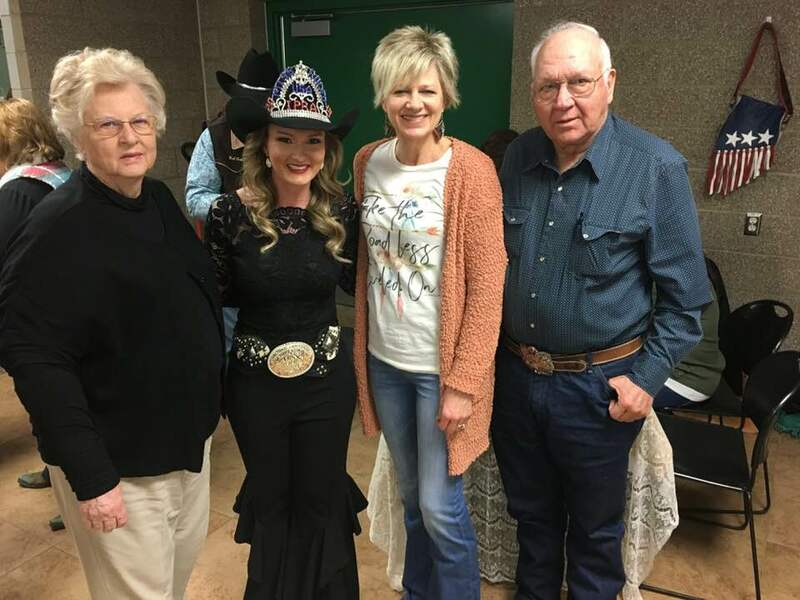 Just recently I was able to talk to Pat, who is on the committee for Rodeo on the Beach. Do you ever wonder if your on the right path in life or if your taking the right steps that God has chosen for you? After speaking to Pat and sending him my platform information, “The World Needs All Types of Minds” I soon heard back from Pat, he told me about his experiences with my platform. I was touched, from 1200 miles away I felt an instant connection and was even more enthusiastic about my first trip! I then knew I was on the right path, that I was right where God wanted me to be in life. These past few weeks of being home and preparing for my year and my coronation I have been showered with gifts, encouraging words and love. I sat back and thought how lucky am I, how blessed I really am to be in the shoes that I am in, that path that I am on, that I will get to experience things that some people may never get to do in their lives, things that only people can dream of! 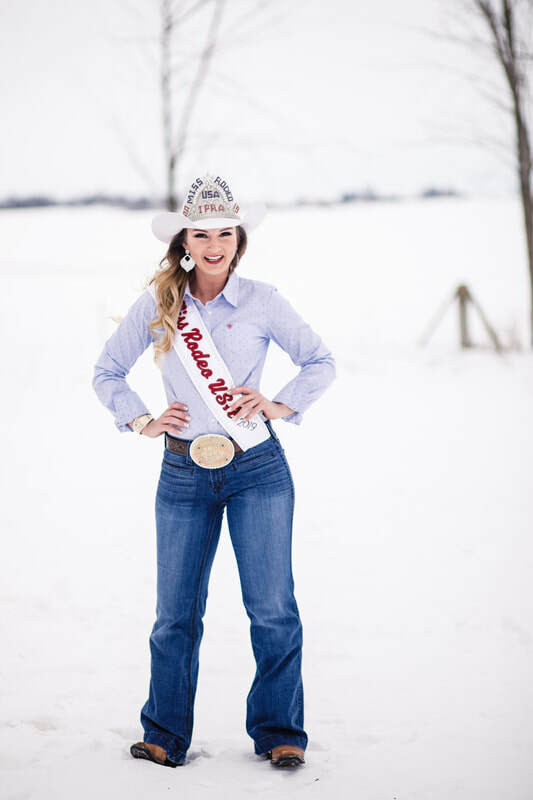 That being said before I close my second blog as Miss Rodeo USA 2019 I wanted to leave you with the words that I live by, these are my favorite words, the ones that I remind myself of everyday! I hope that you all have the most blessed day and I can’t wait to meet all of you on my journey! 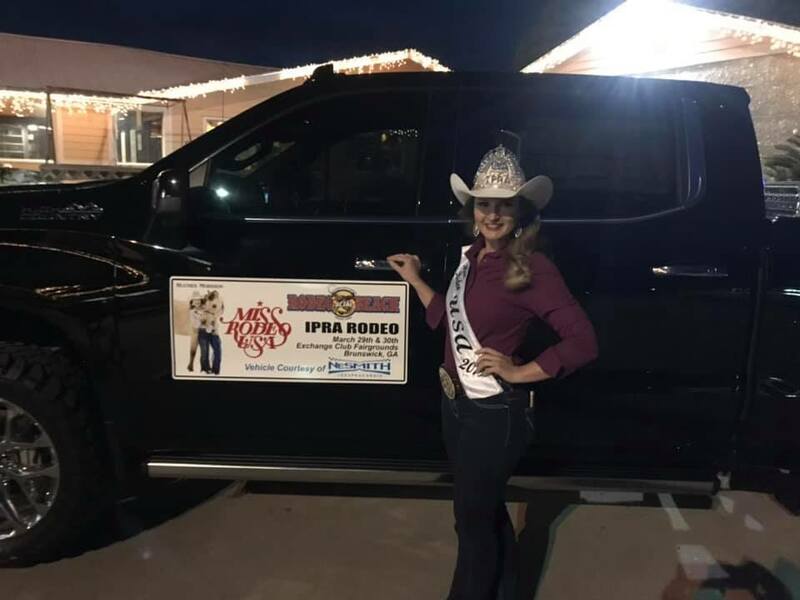 Don’t forget to follow me on social media and through my blogs here on the Miss Rodeo USA website! I will see you down the road!